Butler County and the Civil War: When President Lincoln first called for troops following the firing on Fort Sumter, Butler County responded with more than 300 men. Learn about Butler County’s role in the Civil War, both on the battle fields and the home front. Butler County in the Great War: Learn about how the United States was drawn into the Great War, and the important role that Butler County played in World War I. Over There, Over Here, Letters Home From Butler County Soldiers During WW I: Over 3,000 men and women served during the Great War. Explore the stories of several of those men and women, as well as how the poppy has become associated with the Great War. 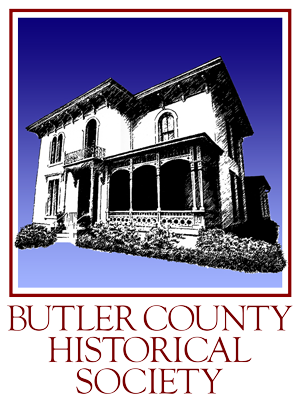 Veterans of Butler County: Butler County has always played a role in the wars of our country. Join us as we examine the contributions made by Butler County Veterans in the conflicts beginning with the French and Indian War through Korea, with special emphasis on the time period from the late 1700s to the early 1900s.